If you’re looking for a home that gives you the best of city life while still having a rural feel, Leduc is the city for you! 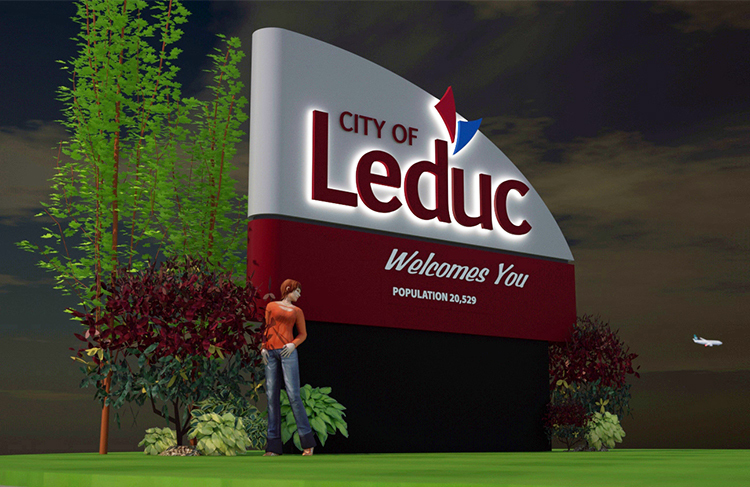 Located only 33 kilometres south of Edmonton, and minutes away from the Edmonton International Airport, Leduc is one of Canada’s fastest growing cities, with over 31,000 people calling it home. Real estate in Leduc fits a wide range of needs and desires, offering something for everyone. From condominiums to large estate properties, Leduc will please even the pickiest of buyers. While commuters enjoy calling Leduc home, plenty of employment opportunities exist within city limits—the northern portion of Leduc and the neighbouring municipality of Nisku are home to over 1,400 businesses in the Leduc Business Park and Nisku Industrial Park. Perfectly balanced among Leduc’s various amenities and bustling city life, is plenty of serene and natural recreational space. Outdoor recreation is at the top of Leduc’s highlights with multiple parks, lakes (including the beautiful Telford Lake), and miles of walking, running, and cycling trails. For indoor recreational space, residents can enjoy the new state-of-the-art Leduc Recreation Centre. Whether you’re looking to raise a family, escape the big city, or experience serenity and convenience steps from your back door, Leduc is the home for you!